Ballarat is a city located in Victoria and his population is 97,937 inhabitants. On this page you can consult informations about distances and roadmaps from Ballarat to major cities and places in Australia. 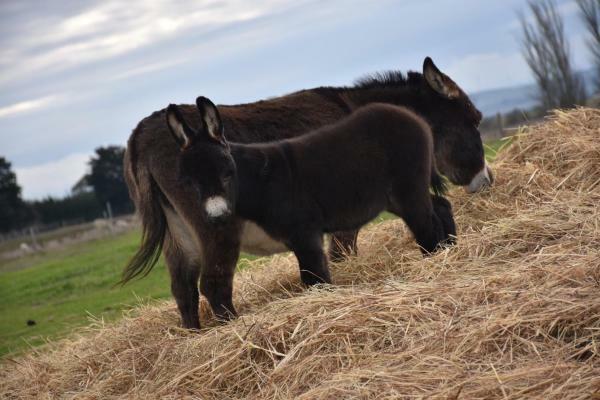 Pound Hill Cottage is a country property situated in Miners Rest, just 15 minutes' drive from central Ballarat. It features a patio, a spa bath. This hotel is 12.73 km from city center. Featuring air-conditioned accommodation with a patio, Malakai Farm Stay is located in Miners Rest. Guests staying at this farm stay have access to a fully equipped kitchen. This hotel is 12.65 km from city center. Located in a tranquil, leafy setting, BIG4 Ballarat Windmill Holiday Park boasts a 20-metre indoor heated pool, 2 hot tubs and a sauna. Guests enjoy a tennis court, a fitness centre and a jumping pillow. This hotel is 6.69 km from city center. 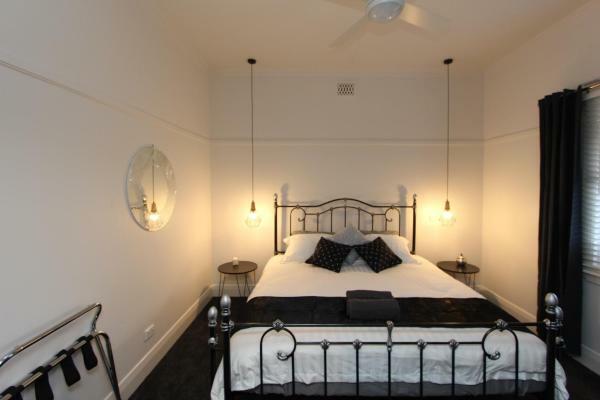 Ballarat BNB is situated in Alfredton. Providing free WiFi, the property also has a garden. 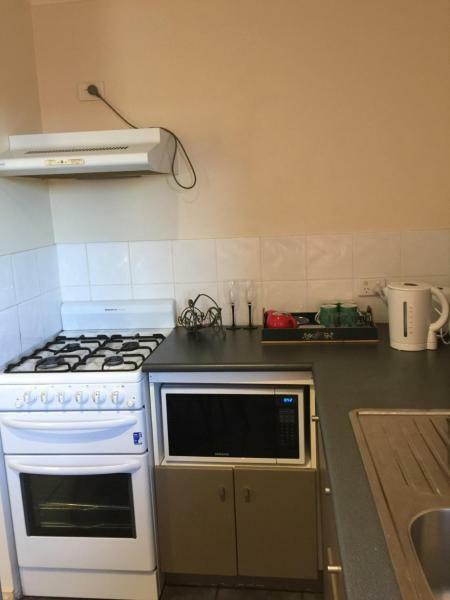 The bed and breakfast includes a kitchen with an oven and a microwave, as well as a coffee machine. A flat-screen TV is provided. This hotel is 4.97 km from city center. Set on 2 acres of beautiful gardens, Bell Tower Inn offers rooms with access to a shared courtyard, indoor heated pool and BBQ area. All accommodation has a flat-screen TV. Guests receive 250MB of free WiFi per day. This hotel is 5.14 km from city center. 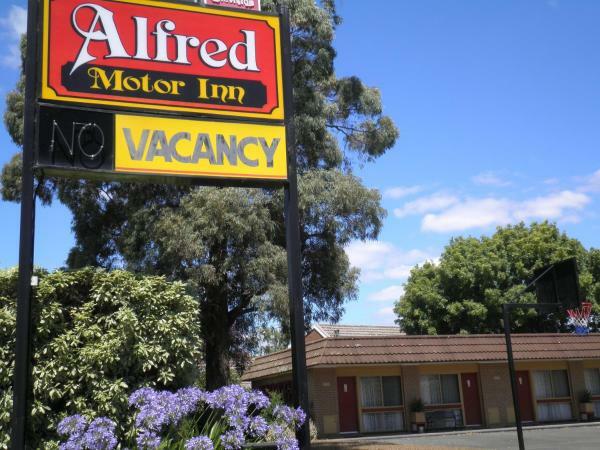 Featuring a saltwater swimming pool, a basketball court and a covered barbecue area with outdoor seating, Alfred Motor Inn is just 550 metres from Ballarat Golf Course. It offers air-conditioned rooms with flat-screen satellite TV. This hotel is 5.04 km from city center. Built circa 1859, this beautiful refurbished church offers accommodation in Miners Rest. St James Converted Church offers a stylish and luxurious stay with an open plan living and dining area. This hotel is 10.63 km from city center. Featuring an outdoor swimming pool, barbecue facilities and free parking, Avenue Motel is only 10 minutes’ walk from the Arch of Victory. Free Wi-Fi and free satellite TV are included. Guests enjoy free continental breakfast. This hotel is 4.70 km from city center. 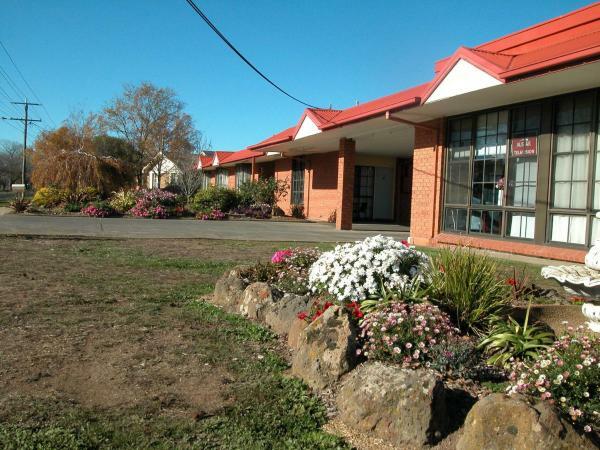 Boasting an outdoor barbecue area, a large grassed yard and an outdoor swimming pool, this motel offers refurbished guestrooms with modern décor and a flat-screen cable TV. Ballarat Golf Club is just 500 metres away. This hotel is 4.20 km from city center. Ballarat Gate House is situated in Lake Wendouree and offers a garden. This property offers access to a patio. This air-conditioned holiday home has 3 bedrooms, a satellite flat-screen TV, and a kitchen. There is a bathroom with free toiletries. This hotel is 3.76 km from city center. 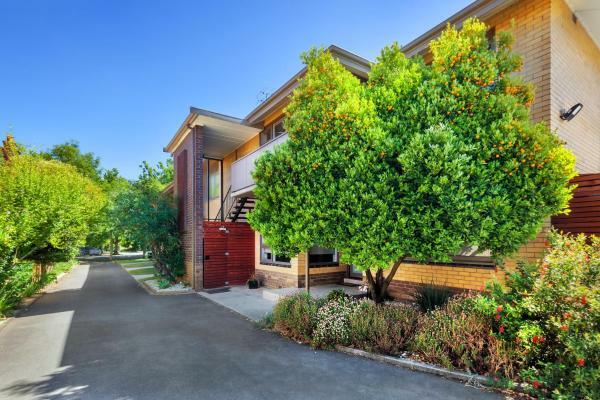 Stirling Mews is situated in Wendouree. This holiday home has a garden. Offering direct access to a patio, the holiday home consists of a fully equipped kitchen and a flat-screen TV. A continental breakfast is served each morning at the property. This hotel is 3.76 km from city center. 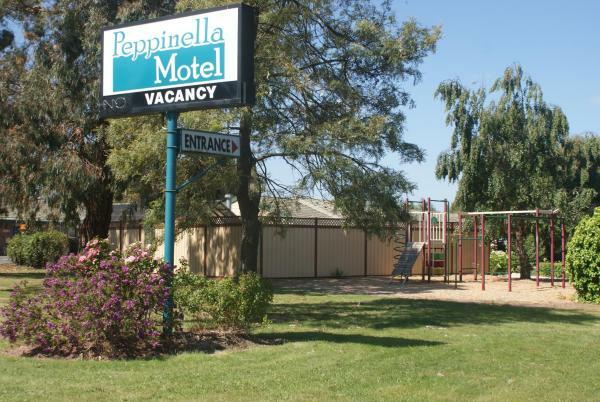 Just 5 kilometres from Sovereign Hill, Peppinella Motel offers air-conditioned accommodation with flat-screen cable TV. It features a seasonal swimming pool and an outdoor dining area with BBQ facilities. This hotel is 3.74 km from city center. 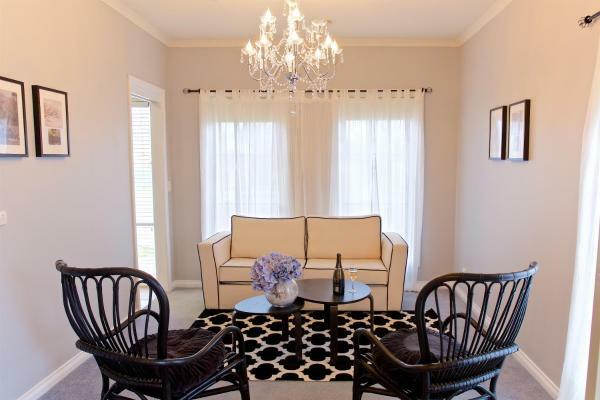 Set in Ballarat, Newington Lakehouse offers accommodation with a patio and free WiFi. 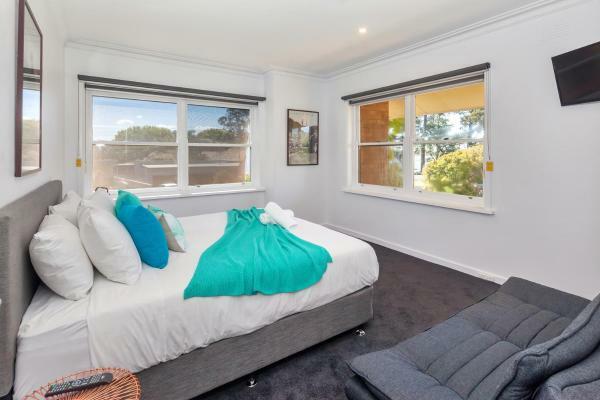 The accommodation is 2.9 km from the Morshead Park. This hotel is 1.99 km from city center. Set on 55 acres of lovely gardens, Ramada Resort by Wyndham Ballarat features a tennis court, an indoor pool and a hot tub. Built in 1878, it offers self-contained accommodation with stunning garden views. Free parking is available on site. This hotel is 4.72 km from city center. 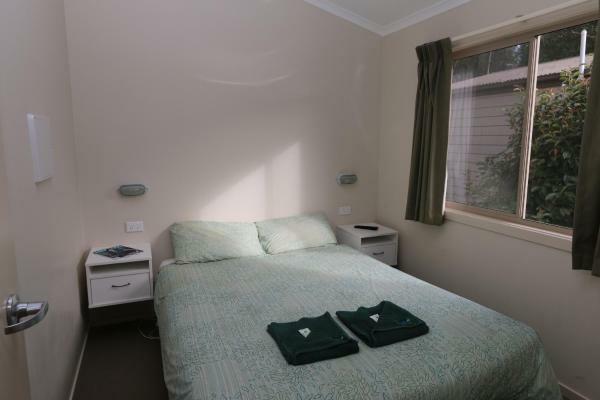 Located opposite Victoria Park, Ballarat Tranquility Cottages offers self-contained cottages with a gas log fireplace, a fully equipped kitchen and a spa bath. Guests enjoy free WiFi and a spa and wellness centre. This hotel is 1.68 km from city center. 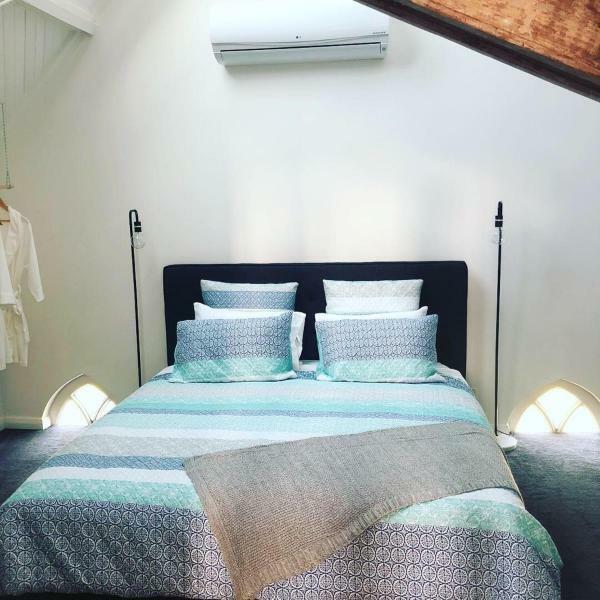 Situated in Ballarat, within 2.5 km of Her Majesty's Ballarat, Eyre House offers accommodation with free WiFi and air conditioning. This property is 2.8 km from Regent Cinemas Ballarat. This hotel is 1.35 km from city center. 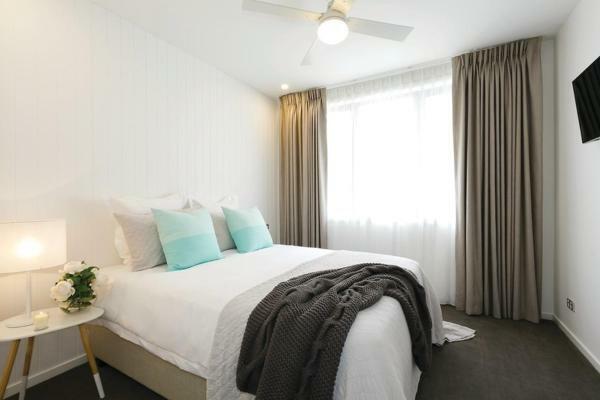 Featuring free WiFi, Lake Wendouree Luxury Apartments on Grove offers accommodation just 50 metres from Lake Wendouree. 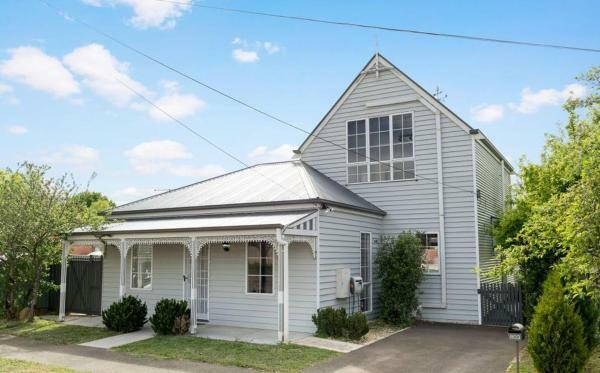 Daylesford is 36 km from the property. Free private parking is available on site. This hotel is 1.60 km from city center. 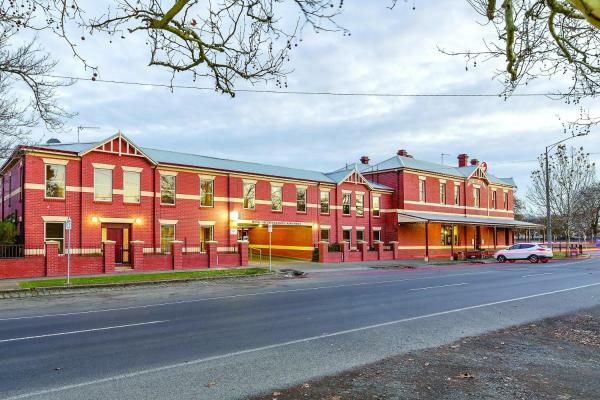 Set in Ballarat, 2.2 km from Morshead Park and 2.8 km from Her Majesty's Ballarat, Newington Apartments features accommodation with free WiFi. This hotel is 1.07 km from city center. 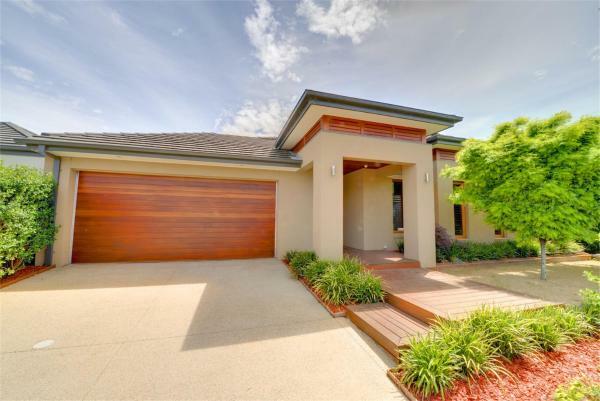 Located in Alfredton in the Victoria region, Modern luxury living close to CBD features a patio and garden views. This holiday home has a garden. This hotel is 1.62 km from city center. Just 200 metres from Lake Wendouree, Ballarat Lake Inn offers air-conditioned accommodation with flat-screen satellite TV. The property features Wi-Fi internet access, a bar and a restaurant. This hotel is 1.27 km from city center. 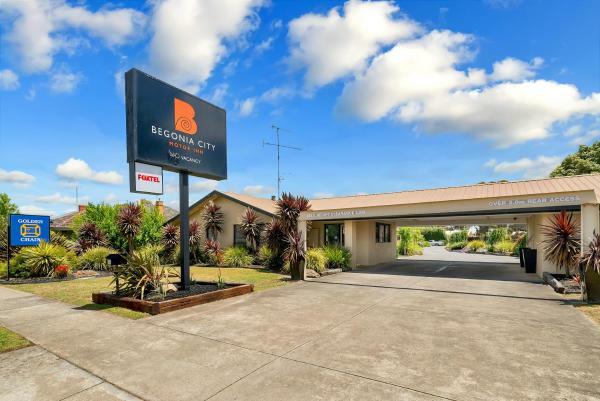 Set amongst spacious gardens with a swimming pool and barbecue area, Begonia City Motor Inn is just 5 km from Ballarat's city centre. 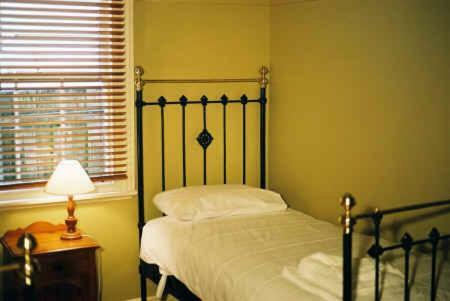 Accommodation offers free Wi-Fi and a TV with over 100 cable channels. This hotel is 4.10 km from city center. 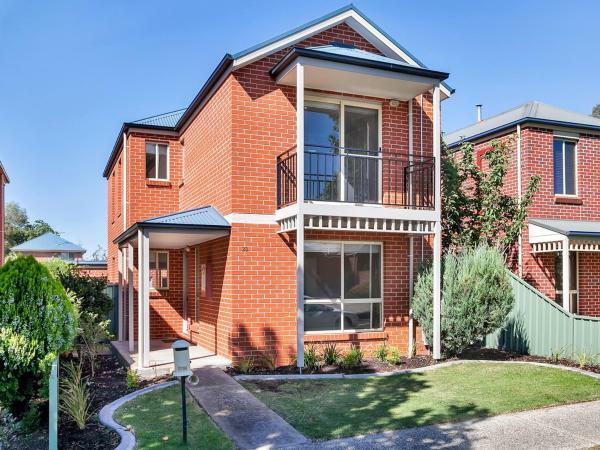 Complete with barbecue facilities, Lakes Edge Apartments is set in Ballarat, 1.8 km from Her Majesty's Ballarat and 2 km from Regent Cinemas Ballarat. The property is 2.7 km from Mars Stadium. This hotel is 1.21 km from city center. 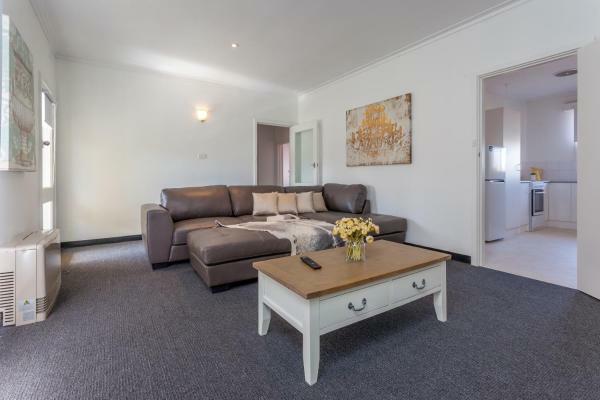 Just 2 minutes’ walk from beautiful Lake Wendouree, Luxury Apartments on Webster boasts free WiFi, a gas log fire and a private balcony or patio with garden views. Each apartment includes a 51-inch flat-screen TV with cable channels. This hotel is 1.24 km from city center. Complete with barbecue facilities, Ballarat - Cardigan Cottage is located in Ballarat, 1.2 km from Mars Stadium and 2.3 km from Regent Cinemas Ballarat. Guests staying at this holiday home have access to a terrace. This hotel is 2.20 km from city center. Offering a barbecue and views of the garden, Twelve Errard is located in Ballarat in the Victoria Region. Daylesford is 36 km away. Free private parking is available on site. The accommodation is fitted with a seating area. This hotel is 0.44 km from city center.